This future is unevenly distributed; military radio communications and interception predate World War I, sonar and radar were both used in World War II and continuously refined afterwards, and satellite surveillance is decades old, though it took time to transition from ejected film canisters to electronically processed information. 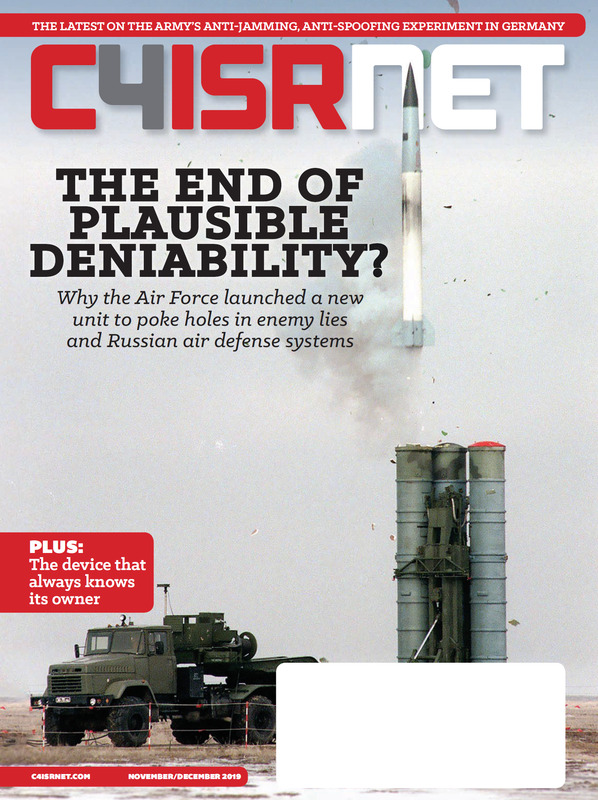 C4ISR as a concept didn’t take off until the mid-1990s, a time when the latest trends in military sensor impacts on command and control was not at the forefront of the minds of Russian military planners. If Russia is still playing catch-up to the United States in C4ISR, the Vostok wargames are an example of closing the gap. Shifting troops into place across the relatively less developed far east is part of that, as is the use of drones for real-time surveillance during exercises. And if the raw mechanics of moving assets into place are somewhat underwhelming as a revelation for a major military exercise, the exercise also included the use of robots providing overwatch for other robots. Both the Uran-6 de-mining vehicle, and the Uran-9 robotic tanklet, played a role in the Vostok exercises. The Uran-6 has a fairly reliable history of workhorse like performance. The Uran-9, despite a high-profile debut in Syria, appears to have not lived up to the hype. The changes to the Uran-9 that we can infer are the addition of rapid fire small caliber cannons, in addition to its existing armament, and possibly new communications equipment. Given the lower stakes of the wargame than a live fire trial in an actual warzone, it’s possible some mistakes won’t be apparent until future exercises, and we won’t have a scope of what Russia learned until the country completes its own initial assessment of the Vostok wargame in October. Another lesson from Syria that seems to have carried over to the Vostok exercise is the use of cheap, commercial drones, including quadcopters made by China’s DJI. Take a look at that picture from RIA Novosti again. The drone, clearly a DJI phantom model or near-identical knock-off, is foregrounded, but behind him in deep green paint is a mobile station bristling with antennas. Even if its coincidental, it’s a revealing portrait. Drones like this provide real-time aerial surveillance at the lowest possible price point. A communications center like that takes a significant budget to set up, and understands the electromagnetic spectrum as a domain worth contesting. Incorporating cheap commercial tech into that war plan suggests the value here outweighs the risks, or at least that including it in the Vostok exercise was a way to determine that. 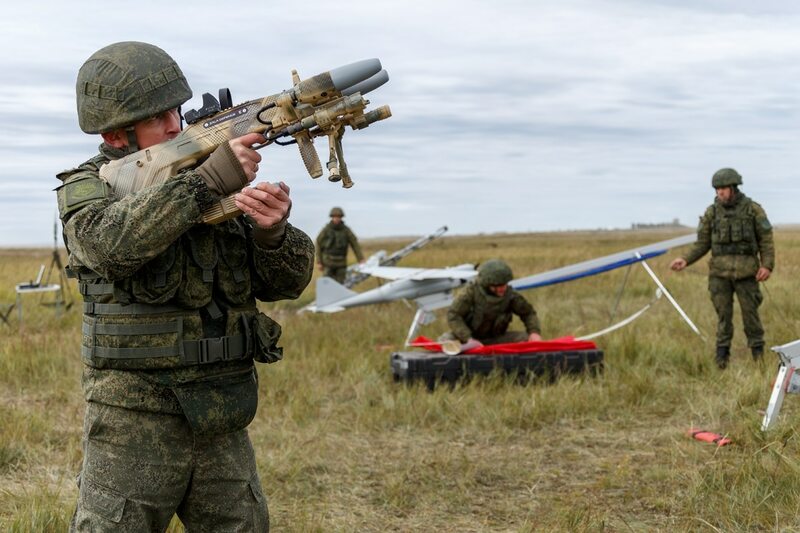 Electronic warfare systems are both a major part of modern Russian warfighting and also the Vostok exercise, with most of the country’s electronic warfare machines reported as part of the exercise. One of those systems, called the Leer-3, consists of cell phone jammers on a trio of Orlan-10 drones and connected to a ground control station. We will know more about Vostok in the weeks and months to come, both as Russia releases official summaries of the exercise and as open-source analysts piece together what they’ve gleaned from observation. Already, satellite images show the formations fielded. The robots are novel, and may lead to future discovery, but the heart of the exercise is the more subtle art of simply moving people into place, and then having the information infrastructure to make sure they can adapt as new intelligence comes in. Practicing robot warfare without a C4ISR backing isn’t just illogical. It’s illogistical.